By Far, the Best service call I've EVER had! Welcome to Grandma's Handyman Service, Inc.
"Working to set the gold standard for handyman technicians." Grandma's Handyman Service, Inc. provides affordably-priced, reliable and skilled handyman services in metro Denver, including Aurora, Parker, Highlands Ranch, Littleton and Lakewood. 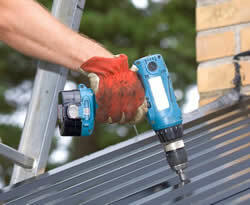 What Kind Of Handyman Services Are Provided? If you’re looking for a Denver handyman who can fix a leaking faucet, replace a faulty light switch, put in a new toilet or shower, patch or replace drywall, install or build some shelving, put in a ceiling fan, paint a room, repair a fence, build a closet, or perform pretty much any other maintenance or repair project . . . Grandma’s Handyman Service in Denver can help! With Grandma’s handymen in Aurora, Parker, Highlands Ranch and Denver, handyman help is just a phone call away! Our Denver handyman staff specializes in home maintenance and repair, and is experienced in a variety of trades including plumbing, painting, drywall, electrical, and carpentry. Click here for a list of our handyman services in Aurora, Denver, Parker, Highlands Ranch, Lone Tree, Centennial, Littleton, Lakewood, and Englewood. Our Denver handyman service is safer than picking someone out of the Yellow Pages or from a classified ad. By choosing a handyman from Grandma’s, you know your worker is skilled and experienced. You can rest assured that your handyman can be trusted to work in your home, show up on time, and do a good job. Carefully screened by Grandma herself before being hired, every handyman employed by Grandma’s has passed a national background check. Grandma's Handyman Service, Inc. is also fully insured and bonded. This means that our customers and our employees are protected. We’re also a member of the Better Business Bureau, which is your assurance of our good business practices. Our Denver handyman service is covered by liability insurance, worker’s compensation insurance and a surety bond. Our handymen are direct employees, not subcontractors or a referral service. Our Denver handyman service works because all our handymen have to answer to directly to Grandma! Grandma’s Handyman Service provides homeowners and businesses with superior handyman services at affordable prices. Our happy customers give us lots of repeat business and lots of nice compliments. But don’t take our word for it! Click here to read what our happy handyman customers have to say. And then call us today for minor or major repairs, small remodeling projects or just to finally get that honey-do list completed! 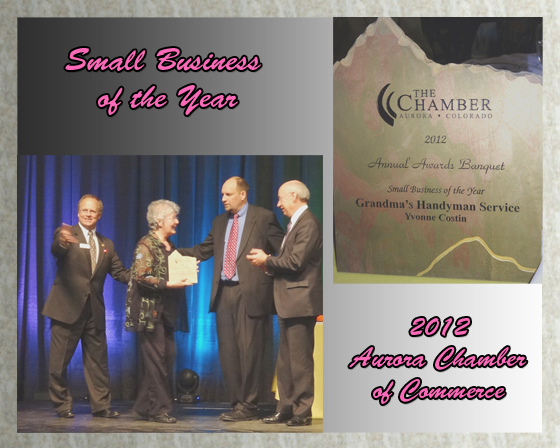 For The Best Handyman Services in Denver, Call Grandma’s Today! providing Denver repairmen available NOW to help you with your home repair projects!